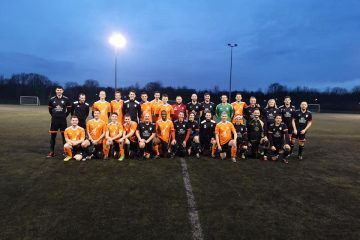 Today, the Lions played in their second MUL game of the 2018/19 season against the Yorkshire Terriers, who they played two weeks ago in the GFSN. 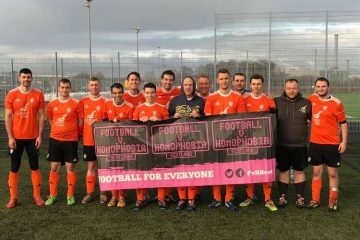 This was also the Lion’s second Rainbow Laces match in support of Stonewall’s campaign to show solidarity for the LGBTQ+ community in sport. The first half of the match showed how both teams planned to approach the match; retain the ball and move up the pitch quickly. Special mention goes to Joshua J and Peter M who showed great connection on the left hand side of the pitch, weaving the ball through the Terrier’s players to create great passages of play. There were some close 50/50s throughout the game, one resulting in the Terrier’s midfield breaking through the defensive line and finding the top right corner, giving the Terrier’s the lead early in the first half. This mistake did not affect the Lions mentally, proving they have the ability to come back into a game as they have done so well in the past. The defence stayed tight, which kept the Terrier’s chances down. Keeping the play in the Lions attacking half proved effective and they were rewarded with a brilliant goal from Jeff J who took a 40 yard strike to lob the keeper and find the back of the net. With the score set at 1-1 it was all to play for, but this is how the first half would end. The second half would prove deciding, and both teams were looking to make a positive start to the half. The Lions made a few substitutions at half time in the hope of fresh legs to keep the tempo of the game high. The half started well, with the Lions’ midfield finding a rhythm. Craig J played a brilliant through ball for nimble attacking player Sean M to slot the ball into the back of the net, unfortunately being called offside in the process. Although the outcome wasn’t there, the Lions were creating the opportunities which shows great determination. A quick turnover and the Terriers soon found the back of the Lions net to make the score 1-2 to the opposition. A foul in the Terrier’s area gave the Lions a penalty, James H walked up to take and easily placed the ball in the bottom left-hand corner to get the Lions the equaliser. Finding the equaliser lifted the Lions’ players spirits. They were not going to be outplayed on their home pitch. Half the battle in sport is mental strength, being able to stay focused for 90 minutes is a big ask in such a physically demanding sport such as football, a lapse in concentration proved costly for the Lions allowing the Terriers to score two successive goals to bring the score to 4-2 to the away team. After a team talk from the captain, the Lions soon regained their composure and saw out the rest of the game, unfortunate to not find the back of the net. 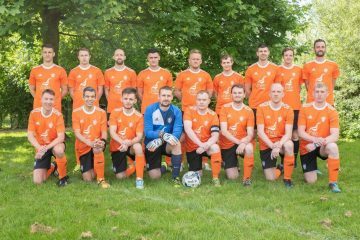 This was the second to last competitive match of this year, with the Lions playing in a GFSN league match on the 9th of December in Liverpool. The Lions would appreciate any support if you would like to come down to watch what will be an exciting final competitive match of the season. Next year’s fixtures for the 2018/19 season are available on the Fixtures page of this website!